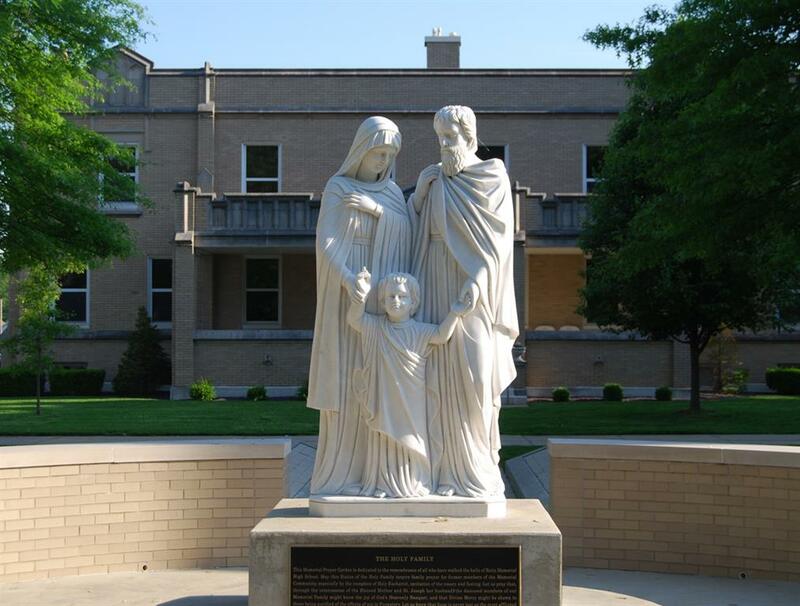 Memorial High School is under the patronage of St. Joseph, whose statue stands in the entrance to the school. The example of St. Joseph is one of faithfulness and perseverance. It is our hope that our students will adopt this same spirit of loving service to God, not only in their days here at Memorial, but throughout their lives. Prayer is a daily experience at Memorial High School. We begin each day with prayer and Mass is offered twice a week before school. Every month there is an all-school liturgy in which the students participate as music ministers, lectors, gift-bearers and Eucharistic ministers. Our chapel is always available for students as a place of quiet reflection where the Blessed Sacrament is reposed. Pastoral counseling and guidance are available to the students through our full-time guidance counselors, our Youth First counselor or our chaplain. Many of our students participate in our Spiritual Life Committee, which works to develop and maintain a Christian environment. Our faculty and staff work to support our parents in raising their children in the practice of the faith.